On May 17, 2017, Deputy Attorney General Rod Rosenstein announced that he has named a special counsel to investigate Russian attempts to influence the 2016 presidential election. He appointed former FBI director Robert Mueller III,who will now have unlimited resources and time to conduct a thorough review of the myriad of allegations. At 9:34 on the November morning after Donald J. Trump was elected president in 2016, Kirill Dmitriev, the head of Russia’s sovereign wealth fund and an informal envoy for President Vladimir V. Putin, sent a text message to a Lebanese-American friend with ties to the Trump campaign. Mr. Dmitriev wanted to connect quickly with someone in Mr. Trump’s inner circle, preferably Donald Trump Jr. or Jared Kushner. By the end of the month, he was in touch with Rick Gerson, a friend of Mr. Kushner who manages a New York hedge fund. The two discussed a potential joint investment venture. 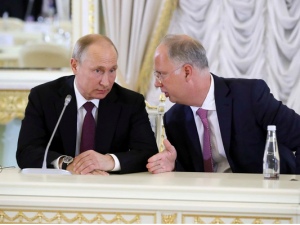 But the special counsel’s report released Thursday suggested that Mr. Dmitriev’s real interest lay elsewhere: He had been instructed by Mr. Putin, he told Mr. Gerson, to come up with a plan for “reconciliation” between the United States and Russia. Pivoting from their failed Russia-Trump collusion narrative, Democrats and the press corps have discovered a new political villain: William Barr. They claim the Attorney General is misleading the public, but their real goal is to warn Mr. Barr from following through on his promise to investigate abuses by the FBI and Obama Administration officials. The rap is that Mr. Barr didn’t tell the truth about special counsel Robert Mueller’s report when he summarized its conclusions in late March. “It’s a disgrace to see an Attorney General acting as if he’s the personal attorney and publicist for the President of United States,” tweeted presidential candidate Elizabeth Warren, in a typical broadside. Mr. Barr was trying to satisfy the Democratic demand to see the report as soon as possible while he vetted the details for material that had to be redacted for sound legal and intelligence reasons. His four-page summary fairly characterized its conclusions on collusion and obstruction of justice while promising the full report soon. He even quoted Mr. Mueller’s line that the report “does not exonerate” Mr. Trump. A summary couldn’t contain the details that Mr. Mueller took 488 pages to describe, and now those details are public warts and all. Democrats also want Mr. Barr to take a vow of silence so they’re the only people who can explain what the Mueller report means. But Mr. Mueller works for Mr. Barr, who had no legal obligation to release any of the report to Congress. He made a prudent judgment in the public interest to do so, as he promised during his Senate confirmation hearing. Especially since Mr. Mueller abdicated on making any “prosecutorial judgment” about obstruction, Mr. Barr also had a duty to provide his own judgment on the law. 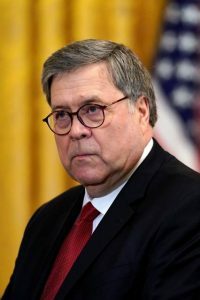 Democrats may not like his conclusion, but at least Mr. Barr didn’t run for the tall grass like Obama-era AG Loretta Lynch did on the Hillary Clinton emails. She deferred, disastrously as later became clear, to FBI director James Comey’s inappropriate prosecutorial pre-emption. Mr. Barr stood up and took responsibility like a real Attorney General. No Collusion, No Conspiracy, No Involvement with Russians. Like we didn't already know that..
How did Department of Justice get the Trump-Russia investigation so wrong? "The liberal media are finally facing the reckoning they deserve"
Manafort judge says charges had "nothing to do with Russian Collusion"
"... bogus from the beginning..."